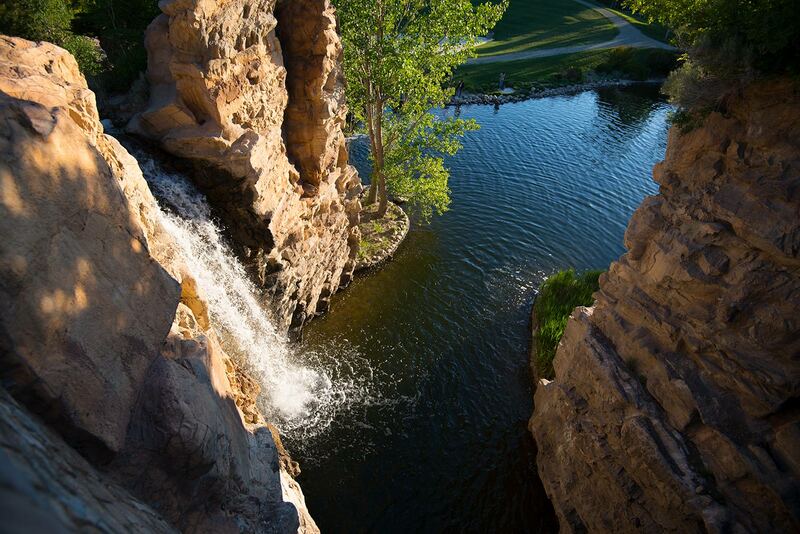 Above, the manmade waterfall at Ashton Gardens in Lehi, Utah. 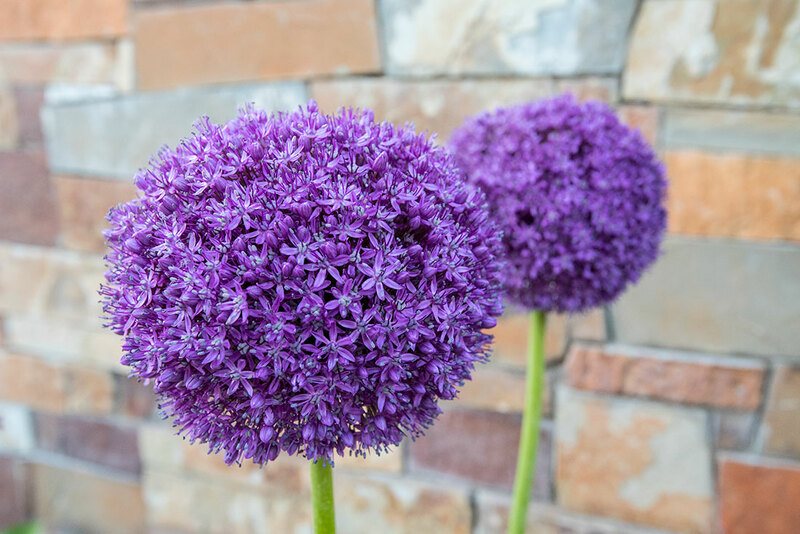 One of the Intermountain West’s most beautiful gardens is at the Point of the Mountain between Salt Lake City and the boomtown of Provo, Utah. The Point of the Mountain was once a forbidding desert highland whose major landmark was the Utah State Prison but it is now a thriving high tech center. Tthe 55-acre Ashton Gardens are part of a development there called Thanksgiving Point. 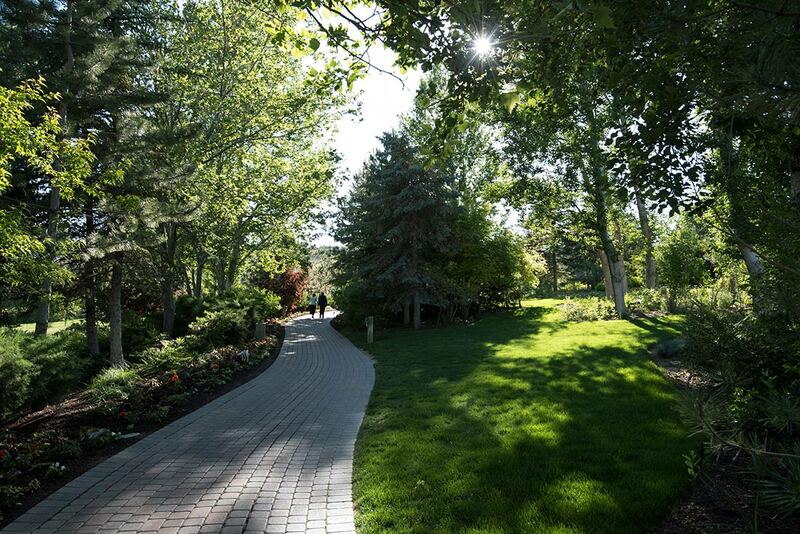 A path through the garden, which is intended to be a relaxing and serene oasis in the desert. 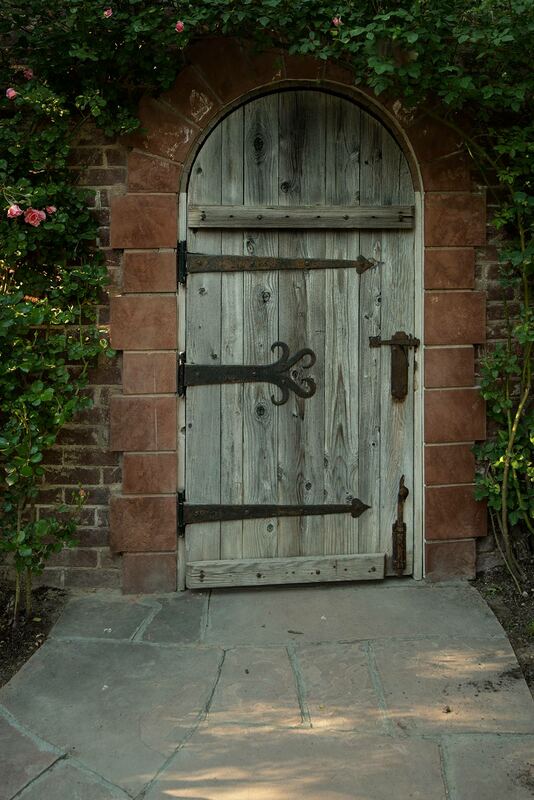 Created by Alan Ashton, a Brigham Young University professor who made a fortune founding WordPerfect Corporation in the late 1970s, and his wife Karen, the garden is a collection of themed gardens. It has one of the largest artificial waterfalls in the world, a secret garden patterned after the one in Frances Hodgson Burnett’s book The Secret Garden, a koi pond, a Monet pond, a rose garden that has 50 varieties of roses, an Italian garden, a Rocky Mountain landscape, a vista garden that provides an overview of the gardens and surrounding mountains and a large sculpture garden about the life of Jesus Christ. The gardens are intended to demonstrate techniques for saving water and its water features are part of a water reclamation system. This photo and the next are of flowers in the garden. 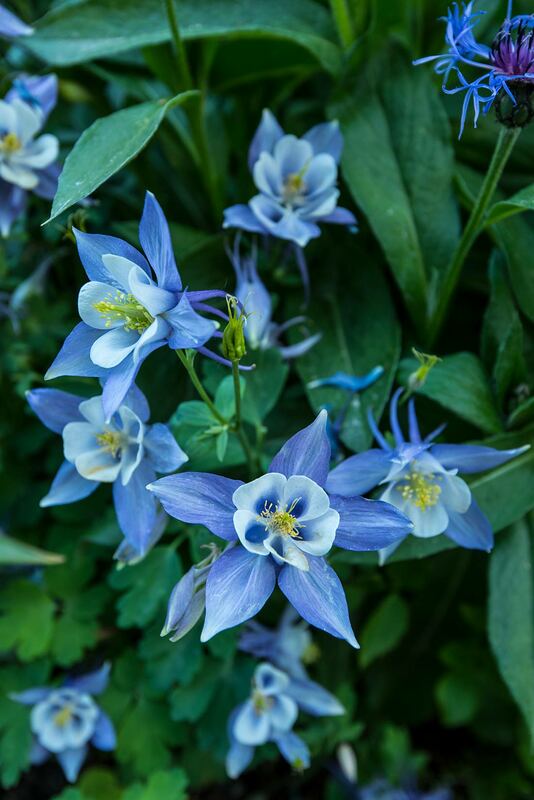 The garden borrows scenery from the spectacular mountains along the Wassach Front, so that as one strolls through the grounds, it is hard to believe that the garden is near a densely populated area of strip malls, residentail neighborhoods and high-tech office buildings. 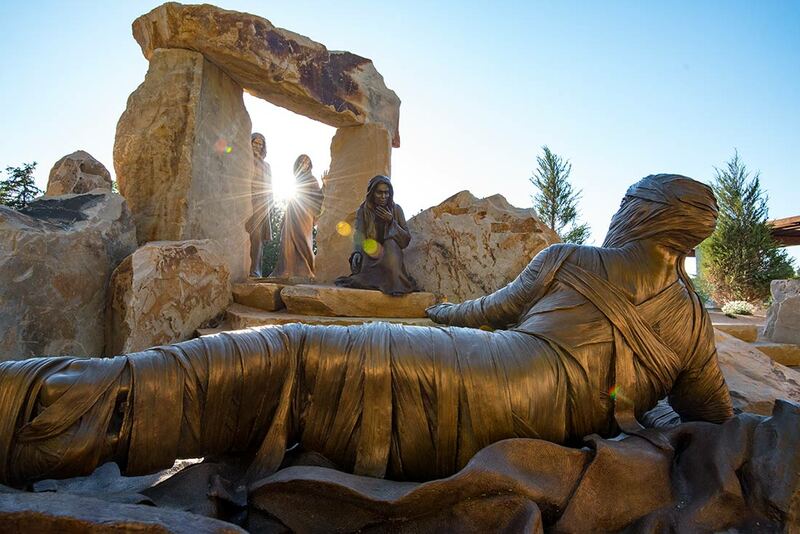 Thanksgiving Point also has a golf course, a Museum of Ancient Life that displays a world-class collection of dinosaur fossils, a children’s museum and a movie theater. The garden is a popular place for weddings, an annual tulip festival and a number of other annual events. 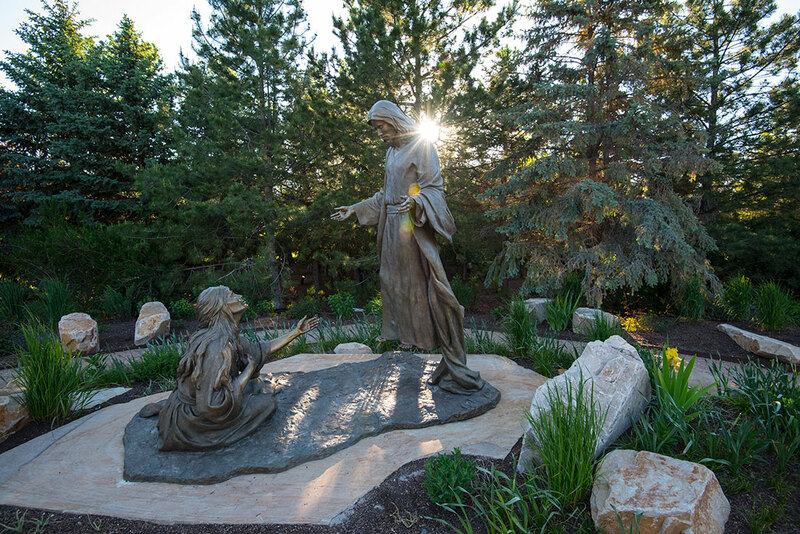 The 2½-acre Light of the World sculpture garden has 15 large sculpture scenes depicting Jesus Christ set among themed landscaping. The sculptures were created by sculptor Angel Johnson, who spent 13 years completing them. 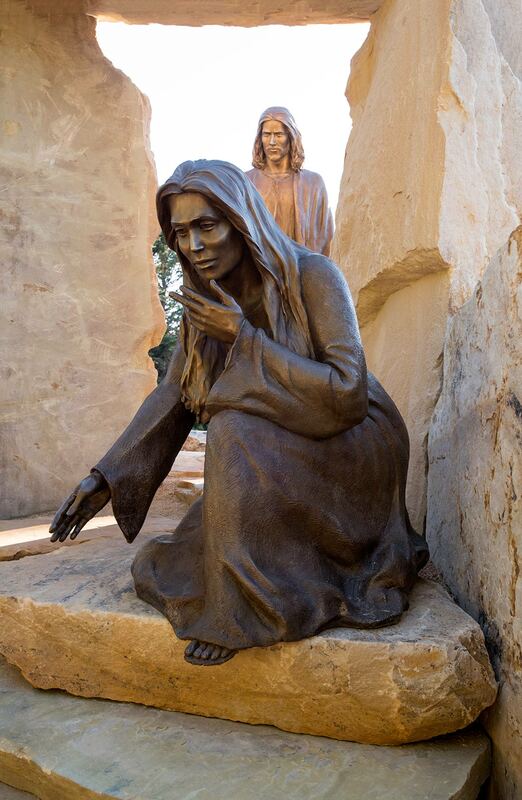 Johnson turned from a singing career to sculpting, and the garden grew out of a traveling religious sculpture exhibit based on Christ’s life that she created. This photo and the next one depict the sculpture of the raising of Lazarus from the dead. 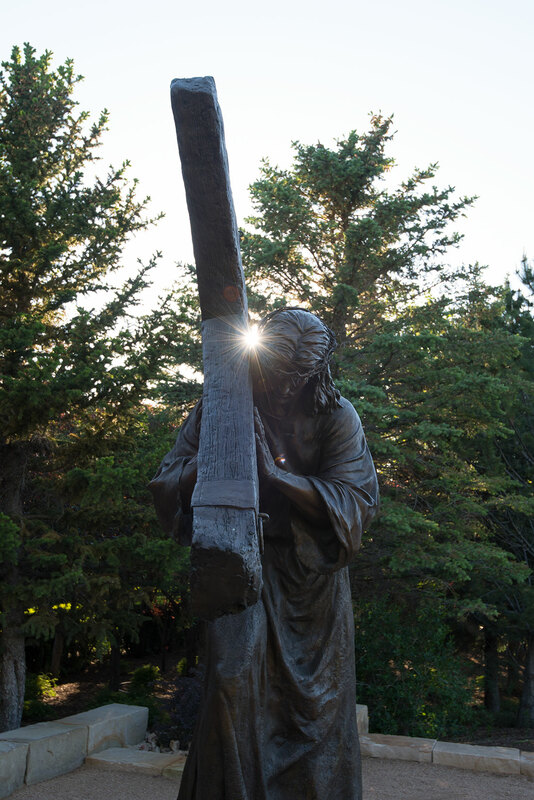 This sculpture shows Christ's resurrection.